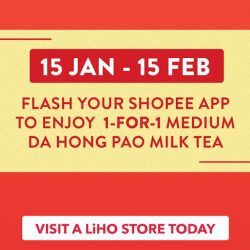 Double 11 Special: Shopee Super Sale with Hourly Flash Deals, Over 500 $1.10 Deals & $7 OFF Coupon Code! 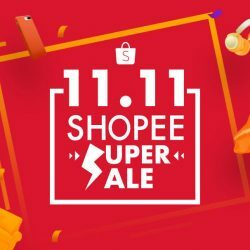 Shopee is gearing up to grab more users with their 11.11 Super Sale! Highlights include Spin & Win prizes like iPhone X, Dyson Fan, Sony Headphones and more, Hourly Flash Deals from 11am to 11pm, over 500 $1.10 deals and up to 40% off official sellers like P&G, Remax, Johnson & Johnson, Spigen, Blackmores and more! They even have a Lowest Price Guaranteed - if you find the product cheaper online elsewhere, you will get 2x difference back! That's how confident they are. So hurry and start your shopping at Shopee now! The Great Online Shopping Festival (GOSF) 2016 is happening from 25 to 27 April 2016! 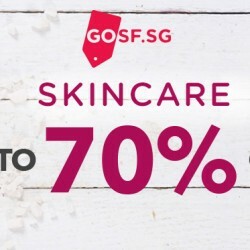 Check out Shopee App's special offers now! Spot something you like, then simply add it to your Happy List and be one of the first to snap it up on the 25th April. Love to shop? Keen to sell? Try Shopee, the latest mobile marketplace that allows you to do all that in less than 30 secs! Citi Credit Cardmembers get to enjoy $15 off with a min. spend of $25 on your first purchase for bags, shoes, clothes and more. Start your Christmas shopping here!